Double Dose of Vegetables Pad Thai | Kaprise! I went to Thailand last year, and for someone who had not really appreciated Thai food, I came back with an extremely healthy appetite for Thai food. Unfortunately, New York is not a bustling metropolis that contains much Thai food (please correct me if I’m wrong! I haven’t been able to find anywhere to remotely resembles delicious Thai food!). My sister introduced this recipe to me a year ago, and it has been on steady rotation in my cooking repertoire. The recipe is simple and the result is a stunningly delicious rendition of Pad Thai. You can find the complete recipe at Health-Bent, an extremely well written and thought out Paleo blog with gorgeous pictures and recipes. Health-Bent’s Paleo Pad Thai. Here are some pictures from my latest run at Paleo Pad Thai. I normally make a double batch and store it in the refrigerator in 1 serving portions. I just grab a container at a time and toss it with some grilled shrimp or chicken over high heat and eat! Quick and delicious way to get your protein and vegetables in one delicious bowl! Oh… and in case you find yourself in Bangkok? This is the Pad Thai I am raving about! It is seriously amazing. You make me miss my favorite PadThai in Bangkok! BTW if you want an authentic PadThai recipe visit my blog and there will be the detail recipe of how to make it. 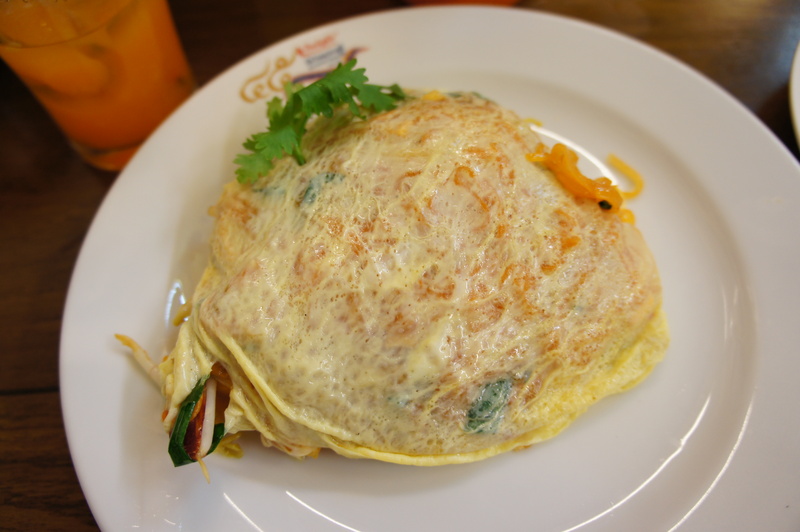 Including the one wrapped with egg crape like in the picture. Let me know if you can’t find it in my blog. You can use shredded papaya (found in most Asian market) or spaghetti squash to replace the rice noodles. East Village Thai on 7th isn’t a bad place for Thai food in Manhattan.